Greenlight Bookstore has established a reputation as one of Brooklyn’s premier venues for literary events. Since the opening of our original location in 2009, Greenlight has become a destination for authors and audiences to encounter powerful voices and exciting stories and ideas. As our events program grows, options for location, size, format, and visibility increase, while our commitment to creating a rich experience for presenters and customers remains the same. All of our programming creates opportunities to connect and create community, and we look forward to continuing to grow. The backbone of Greenlight’s events program is literary fiction, often presented by the author in conversation with a fellow author, editor, or journalist. Conversation events are a staple of onstage events in the store and beyond, and nonfiction events and series devoted to particular topics are becoming more prominent for audiences hungry for information and ideas. Greenlight is proud to host many events featuring people of color as artists and interviewers, highlighting the diversity of our customer base as well as the most exciting contemporary voices. Partnerships with small and independent presses as well as major publishers bring eclecticism to our offerings, and a well-established program of children’s book events serves our neighborhoods’ young families. Greenlight has developed a systematic and robust publicity program, using social media and other digital and print options to spread the word about events. Our still-growing email list reaches over 25,000 literary customers, and combined social media platforms reach over 50,000. Our outreach to media means that events are often featured in major outlets such as Time Out New York, The New Yorker, and AM New York, as well as many local-focused blogs and calendars. Greenlight also reaches out to non-digital audiences with print flyers and postcards distributed throughout our neighborhoods, and partners with cultural and venue partners to publicize major events. Since our second store opened in 2016, Greenlight now has two bookstore spaces designed with events in mind. With seating for several dozen and standing room for several hundred, our stores in Fort Greene and Prospect Lefferts Gardens serve their respective communities, as well as becoming destinations for literary audiences across New York. Audio/visual amenities and well-trained staff in both stores ensure a consistent and positive experience for authors, audiences, and publishers. As Greenlight’s reputation for events exceeds the capacity of our bookstore spaces, we increasingly partner with large cultural venues in Brooklyn to host big-name authors in a variety of exciting settings. The cafe and theater spaces of the Brooklyn Academy of Music, the local university feel of St. Joseph’s College, the enormous art deco Kings Theatre, and others including the Brooklyn Public Library and the Brooklyn Navy Yard are among the spaces Greenlight can offer as event venues, with a variety of book-bundled ticketing models available. While we stock and feature titles in every genre, literary fiction is a primary focus of Greenlight’s selection and our events. Greenlight has become a necessary stop on book tours for major new novels and short story collections, and has hosted in-store or offsite book launch events for authors including Jennifer Egan, Jeffrey Eugenides, Mohsin Hamid, Hari Kunzru, Jhumpa Lahiri, Helen Oyeyemi, Arundhati Roy, George Saunders, Zadie Smith, and many others. Greenlight takes pride in creating space for conversations around the most pressing matters of our day, led by thinkers and storytellers that deeply enage our audiences and community. Our recently launched Immigrant Writing Series and Civic Engagement Series are a continuation of our commitment to providing this space where fiction and nonfiction intersects with the real world issues that affect our communities. Writers such as Ta-Nahisi Coates, Chris Hayes, Rebecca Solnit, and the founders of the Crunk Feminist Collective have been some of our most powerful and popular speakers. Diversity in terms of ethnicity and gender is an everyday reality in Greenlight’s events programming; our emphasis on featuring people of color, women and queer authors is both directed by our philosophy and detemined by the demands of our Brooklyn audiences. Our most exciting and successful events are often for young writers of color, and Greenlight actively seeks out traditionally marginalized voices in order to serve our customers and feature the best and brightest creators. The majority of Greenlight’s events engage audiences with new books with readings and on-stage conversations with authors and interviewers -- but our programming doesn’t stop there. Film screenings and slide shows, panel discussions and parties, cooking demonstrations and tastings, musical performances, walking tours, and more allow us to feature books in many genres and formats, and offer a wide and rich variety of literary experiences. Greenlight has developed an audience for titles from small and independent presses, and periodically hosts multi-author events showcasing a particular independent publisher, often paired with an in-store display feature. Our popular quarterly Poetry Salon and our annual Brooklyn Indie Party also help to highlight the work of independent presses. Greenlight has been named one of New York’s best bookstores for families by Time Out New York Kids, and both locations serve communities of young families with weekly Story Time presentations by picture book authors, followed by activities in our children’s section. Past authors have included Sophie Blackall, Betsy Lewin, Bob Shea, and others. Greenlight has expanded its work with children’s authors through our school partnerships (see Offsites Sales & School Partnerships), and actively works to cultivate the readers of the future. Greenlight has a well-refined cycle of events marketing and promotion, ensuring that every event is effectively highlighted for our customers and the book’s own audiences. Our customer reach grows continually as new fans join our email list and follow Greenlight on social media, and we continue to add to our media distribution lists and cross-promotional partners. Greenlight sends advance email notice of all events to an extensive list of print and online media contacts, including local blogs. Events are often listed in AM New York, Brooklyn Based, The Brooklyn Papers, The Daily News, L Magazine, New York Magazine, The New York Times, The New Yorker, Time Out, and others. Chalkboards: Our talented artist-booksellers create sidewalk chalkboard signs for each event. Podcast: Select events are recorded and available for download or streaming on Greenlight’s events podcast, available on our website or through iTunes and other podcast services, with an average of 1,000-2,000 unique listeners per episode. Specific events may be promoted to email lists and social media networks through cultural partners such as BAM, BRIC, 92nd Street Y, Bedford-Stuyvesant Restoration, and others depending on availability and fit with their audience interests. Specialty media mailing lists for African American or Caribbean interest, neighborhood-specific local media, and other target groups are constantly updated and utilized where appropriate. Greenlight’s ecommerce website offers easy online book purchasing; customers can pick up books in store or have them shipped. All event books are featured and offered for preorder before events. 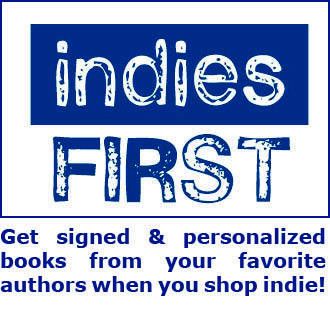 When authors sign stock after events or as a drop-in, the titles are listed on our “Signed Copies” page. Collectors and fans nationwide order signed books through our website, especially when authors and publishers help in publicizing their availability at Greenlight. Greenlight’s First Editions Club is a subscription service offering one title a month to subscribers, in a hardcover first edition autographed by the author; titles are selected by a committee of industry experts, and featured prominently in our displays and events programs as well as shipping to subscribers. Greenlight Bookstore is a reporting store to the New York Times, Bookscan, and Above the Treeline. Greenlight Bookstore’s original location, opened in October 2009, is an 1,800 square foot bookstore in the Brooklyn neighborhood of Fort Greene. From our first author event with Jonathan Lethem to dozens of successful events per month with a broad range of authors, the store has become a destination for New York City’s literary community. Neighborhood families mingle with tourists from Manhattan and around the world for encounters with literary novelists, artists, and thinkers in the store’s intimate yet capacious space. Accessible by several major subway lines and in proximity to destination restaurants and theatres, the bookstore is a part of a burgeoning Brooklyn cultural district. Opened in November 2016, Greenlight Bookstore’s newest store location is a 1,800 square foot bookstore in the Brooklyn neighborhood of Prospect Lefferts Gardens. The store has been enthusiastically welcomed into the neighborhood, serving both the historically Caribbean and African American population and newer residents discovering the neighborhood’s charms, including great restaurants and nightlife and proximity to Prospect Park. The store has already had strong success with evening events appealing to local audiences and younger audiences, including poetry, innovative fiction, and engaging nonfiction, and the store hosts issue-specific non-book events for politically engaged local audiences. Our weekly story time is also beloved by the neighborhood’s young families. Though the Fort Greene and Prospect Lefferts Gardens stores have differing physical layouts and different markets, they are of comparable size and equipped with equal amenities. Each store can host up to 40 audience members seated, and well over 200 including standing room. Each store is equipped with a sound system which broadcasts throughout the store through ceiling speakers, offering a clear audio experience even for standing room only events. Wireless handheld and lapel microphones offer maximum flexibility for readings, interviews, or panel discussions. A built-in projector and large screen at each store can be used to show still images or video to complement book events. Greenlight is the official vendor for the Booklyn Academy of Music (BAM), a 150-year-old performing arts center located a few blocks from the store and boasting attendance of over 500,000 patrons a year. Two “Greenlight Bookstore at BAM” kiosks operate before, during, and after scheduled performances at BAM’s two main theaters, offering books related to current performances as well as merchandise from BAM and featured artists. In addition to selling books for theatre and dance events and for BAM’s Eat, Drink and Be Literary series (co-hosted with the National Book Foundation), Greenlight partners with BAM in programming and hosting its own joint literary series, Unbound. Unbound events feature the launch of major new books from authors across the spectrum in BAM’s luxuriant theater spaces. Bundled and un-bundled tickets are offered through the BAM box office, and featured titles are either bundled with tickets or sold at a 15% discount at the event; books may be pre-signed by the author or signed for fans onsite. BAM co-hosts these events and brings its immense marketing and production resources to bear for one-of-a-kind event experiences. Past Unbound authors include Alec Baldwin, Elvis Costello, Richard Dawkins, Ina Garten, Roxane Gay, Neil Gaiman, Elizabeth Gilbert, Kim Gordon, Jhumpa Lahiri, Jonathan Lethem, Gloria Steinem, and others. Greenlight works with BAM in advance of the traditional event cycle in seeking out important new titles and authors for Unbound. BAM’s theater spaces offer unparalleled atmosphere and full-scale theater accommodations for audio/visual setup, box office ticketing, and staff support, with spaces ranging from 200 to 2000 seats. Founded in 1916, St. Joseph’s is a small liberal arts college with an architecturally stunning campus in the heart of Fort Greene. Since Fall 2011 Greenlight has partnered with St. Joseph’s on a joint event series titled Brooklyn Voices, which aims to promote and enhance the creative vitality of our neighborhoods by providing writers, artists, and intellectuals with a forum in which to discuss and present their works. The series hosts fiction and nonfiction writers for readings and discussions which reach a wide Brooklyn audience as well as SJC students. Past guests have included Junot Diaz, Jonathan Franzen, Elizabeth Gilbert, Khaled Hosseini, Jhumpa Lahiri, David Mitchell, Patti Smith, and others. Brooklyn Voices events take place in St. Joseph’s Tuohy Auditorium, which seats 200-400 in an indoor collegiate setting with audio, lighting, and sound technicians on staff. Most tickets are bundled with the featured book, with no significant markup, keeping ticket pricing accessible for a wide audience, though certain events may be structured as free with RSVP. Greenlight hosts 8-10 Brooklyn Voices events a year, often partnering with St. Joseph’s on print publicity for each season’s events. The Brooklyn Public Library is expanding its emphasis on cultural programming, and partnering with bookstores and other institutions to host literary events, often ticketed. The iconic Central Branch at Grand Army Plaza houses the 200-seat Dweck Center auditorium, and can also convert its lobby/atrium into an event space with a 500+ seating capacity. Greenlight launches its partnership with BPL with a book-bundled ticketed event for Junot Diaz in March 2018, and is developing an ongoing discusson series to take place at the library. Located just north of Fort Greene, the Brooklyn Navy Yard has a profound claim on Brooklyn’s imagination and a number of unique event spaces. Greenlight has partnered with the Yard to host events at BLDG 92, a former Marine Commandant’s residence transformed into a public exhibition space, with a launch party for Pulitzer Prize-winning novelist Jennifer Egan in October 2017. Capacity of the space is over 300, with smaller reading spaces and the option of live streaming, as well as food and drink options and gorgeous spaces for book signings. Greenlight’s newest major venue partner is Kings Theatre, a beautifully renovated 3,000 seat movie palace-type theater in the Flatbush neighborhood, designed in 1929 and re-opened in 2015. Providing a destination for large-scale popular entertainment and serving local arts groups and community organizations, the city-owned Theatre (currently the largest theatre space in Brooklyn) is becoming a cultural and economic cornerstone of the Flatbush and Prospect Lefferts Gardens community. Greenlight has partnered with Kings to host impressive book-bundled ticketed events with authors, including a sold-out event for Ta-Nehisi Coates in Octoer 2017. With state-of-the art theatre amenities and professional staff and security, Kings offers an incomparable theatrical experience for literary audiences, and is actively interested in bringing major literary and cultural speakers to its space. In addition to our own events programming, Greenlight is able to provide books and sales staff for book events happening at venues throughout New York City through our Offsite Sales department. Since the department was created in the spring of 2013, Greenlight has been the bookseller for a diverse array of events including book clubs, film screenings, beer and whiskey tastings, all day BBQs, and lectures at Brooklyn College, Long Island University, and NYU. Strong successes have included book release parties at restaurants and other venues, including the Wythe Hotel and Nitehawk Cinemas. Greenlight Bookstore is the official vendor of Yoga Journal Live! NY, and has also participated in the Brooklyn Baby Expo, the AIGA GAIN Design Conference, New York ComicCon, and the Emerging Women’s Conference, among other conferences and festivals. For many of these gatherings, Greenlight facilitates author signings by conference participants as well as providing books. Greenlight is also proud to participate annually in the Brooklyn Book Festival, the largest free literary event in New York City, where the store has sold books for Main Stage author events and signings since 2010. Greenlight is equipped to accept both cash and credit card sales at offsite events, and can provide publicity support on a case-by-case basis on request. The store focuses on events in and around our neighborhoods, but staffs events throughout Brooklyn and Manhattan. Greenlight has developed strong relationships with a number of Brooklyn public, private, and charter schools, and continues to do outreach to local schools to create longterm partnerships to provide books to students and cultive the readers of the future. The Offsite Sales department now works with many local schools to run in-school book fairs, and collaborates closely with educators to create a fresh title list based on each school’s needs. Greenlight donates 25% of book fair sales back to each school in the form of a Greenlight giftcard, providing schools with an easy way to purchase books for their classrooms and libraries. Greenlight is also extremely proud of its work bringing authors into local schools. Beginning in 2013, we have used a model for author visits incorporating clear guidelines for schools, a simple system for student preorders, and tools for familiarizing students with the featured book and author well in advance of the visit, leading to strong book sales and rewarding experiences for authors and students. Greenlight brings authors to both affluent and lower income schools and facilitates the experience each step of the way; past authors have included Betsy Bird, Doreen Cronin, Adam Gidwitz, Tad Hills, George O’Connor, and Sergio Ruzzier, among many others. Evening events 2-4 nights per week; book 2-4 months in advance. All events free and open to the public. Evening events 1-2 nights per week; book 2-4 months in advance. All events free and open to the public. All theaters staffed by theater professionals including stagehands, ushers, fireguards, and coat check. Ticketing handled through BAM box office. BAM offers design and marketing/publicity . Book 4-12 months in advance; availability subject to theater season and departmental budgeting. Capacity: 3,000 seats, with option to use smaller sections of the theatre if desired. Staffed by theater professionals including stagehands, ushers, fireguards, and coat check. Book 2-6 months in advance; availability subject to theater season. Tuohy Auditorium: 200-400 seats depending on arrangement of chairs. Professional grade sound, lighting and a/v capacity. Book 2-4 months in advance. Events may be free or ticketed. St. Joseph’s may do print advertising for some events. Other offsite venue partner information available upon request. Staffing & book sales fat a wide variety of venues and event types. Submit proposals at least 2 weeks in advance. School author visits arranged for picture, middle grade and YA authors. Book at least 2 months in advance.